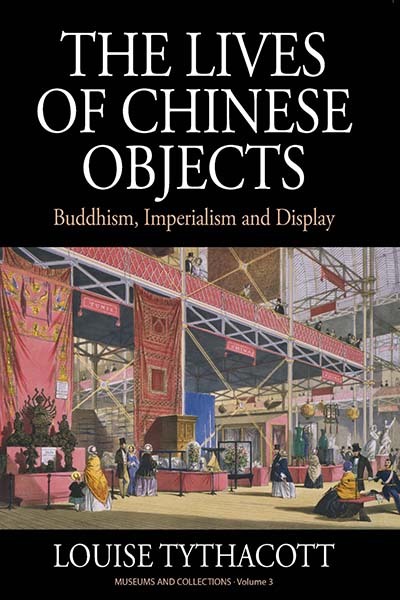 This is the biography of a set of rare Buddhist statues from China. Their extraordinary adventures take them from the Buddhist temples of fifteenth-century Putuo – China’s most important pilgrimage island – to their seizure by a British soldier in the First Opium War in the early 1840s, and on to a starring role in the Great Exhibition of 1851. In the 1850s, they moved in and out of dealers’ and antiquarian collections, arriving in 1867 at Liverpool Museum. Here they were re-conceptualized as specimens of the ‘Mongolian race’ and, later, as examples of Oriental art. The statues escaped the bombing of the Museum during the Second World War and lived out their existence for the next sixty years, dismembered, corroding and neglected in the stores, their histories lost and origins unknown. As the curator of Asian collections at Liverpool Museum, the author became fascinated by these bronzes, and selected them for display in the Buddhism section of the World Cultures gallery. In 2005, quite by chance, the discovery of a lithograph of the figures on prominent display in the Great Exhibition enabled the remarkable lives of these statues to be reconstructed. Louise Tythacott is the Pratapaditya Pal Senior Lecturer in Curating and Museology of Asian Art at the School of Oriental and Asian Studies (SOAS), University of London. She has worked in the museum sector for over a decade, latterly as the Head of Ethnology at the National Museums Liverpool (1996–2003), where she curated the Asia section of the World Cultures Gallery, which opened in 2005.